Immerse yourself in comfortable and luxurious surroundings. 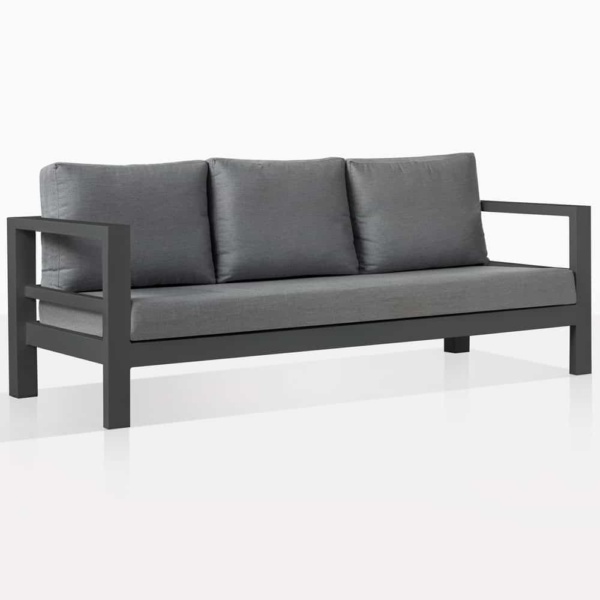 Fall into supreme style with the incredible Amazon Aluminium Outdoor Sofa in attractive coal. A 8 piece strong collection, the Amazon Outdoor Collection is a key example of modern refinery. 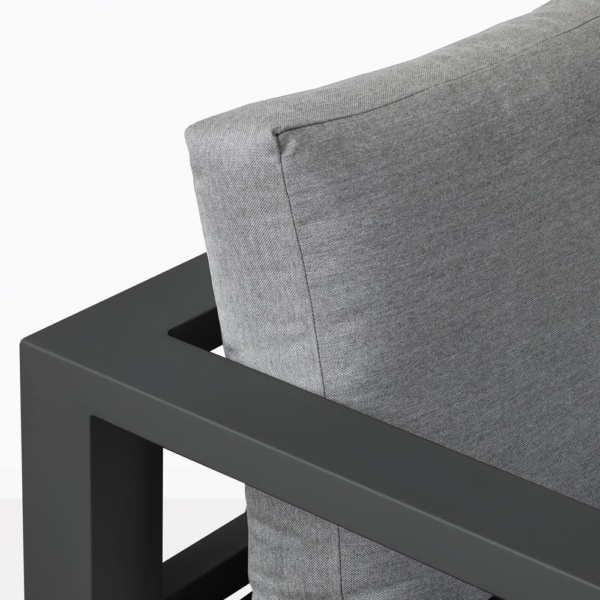 With a strong, linear framework showcasing contemporary powder coated aluminum, and opening a space to melt into the luxuriously soft cushioning, the Amazon Collection is versatile, elegant and oh so effortless. 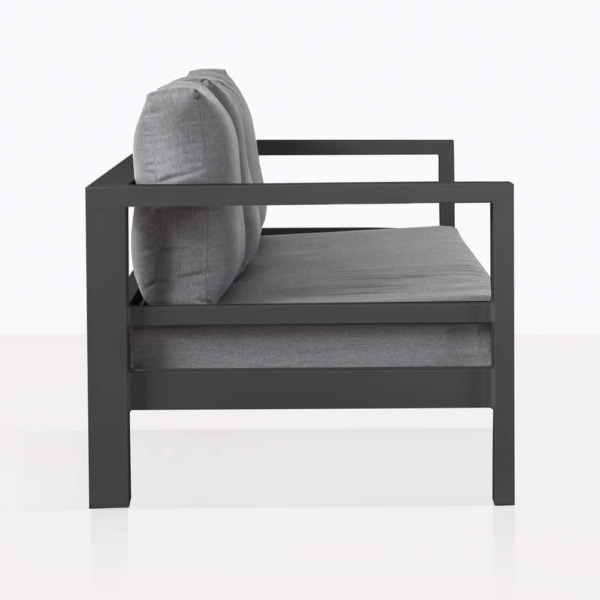 This Amazon Outdoor Sofa is a core part of this immaculate collection, whether on its own or alongside other pieces from the Amazon range, the Sofa is a key to unlocking utter bliss and comfort. Enjoy your Amazon Coal Outdoor Sofa in the middle of your wooden verandah, with an Amazon Club Chair on either side for a classic seated setting. Finish off the look with a Coffee Table of your choice in the middle and some shade overhead! Perhaps you’re opening up a larger area for relaxation, entertaining and casual dining? Whether it’s in your ample garden, or restaurant courtyard the Amazon Collection has the right pieces to set the tone for glamorous outdoor living. Factor in the Left and Right Sofa Sectionals, Center piece and Corner Unit to your area and make the most of your incredible environment in extraordinary outdoor furniture. 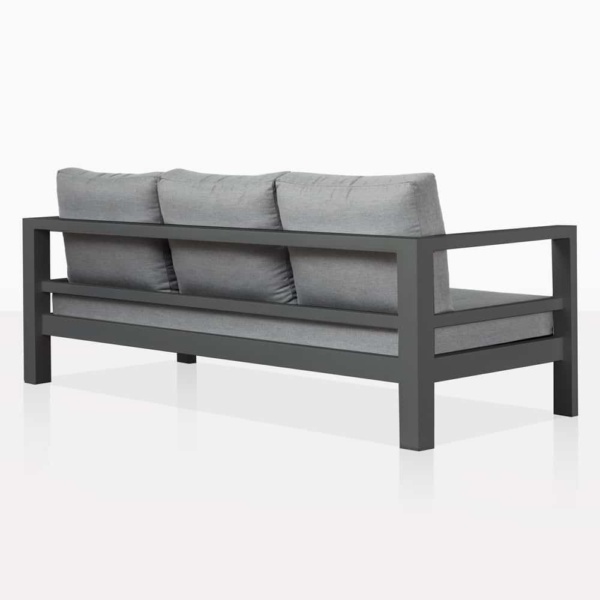 Built from superb outdoor materials, the Amazon Outdoor Aluminium Sofa shows off the hard wearing, rust resistant powder coated aluminium, which is then garnished with Sunbrella® cushioning, allowing you to really relish in robust outdoor furniture that looks and feels amazing. Design Warehouse is the premier leader in deep seating, dining, accessorizing and reclining furniture. It’s time for you to call us and order your Amazon Outdoor Sofa in attractive coal, experience the difference of luxury.